Below are Box Office Collection Report of bollywood film 'Bhoomi' With his review, budget and total box office and worldwide collection status. 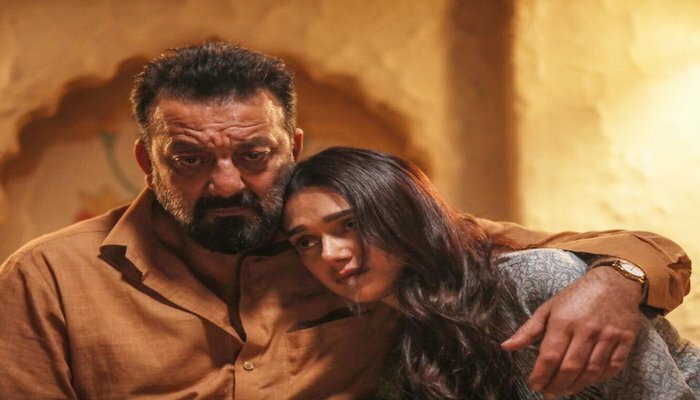 Bhoomi movie lead star cast is Sanjay Dutt, Aditi Rao Hydari. 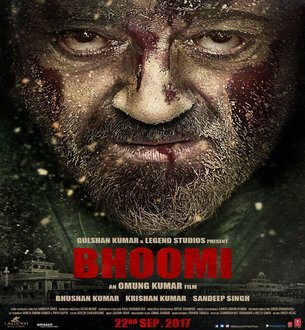 Bhoomi is an indian Action, Crime, Drama Film of 2017, directed by Omung Kumar & produced by Bhushan Kumar. Bhoomi film Released in over 1894 screens in India and 240 screens in overseas. After receiving lukewarm response at the box office with an opening of about Rs 2.25 crore, the film improved a bit on Saturday with collections Rs 2.47 crore and Rs 2.76 crore on Sunday. Movie Story:- A shoe-smith Arun Sachdeva (Sanjay) is shattered when he discovers that his daughter, Bhoomi (Aditi) has been raped by Dhauli (Sharad) and his gang of three. The father and daughter grieve for a bit before planning revenge.